Why Haven't Digital Business Cards Taken Off? Some forms of marketing, no matter how old fashioned they are, work far better than some modern techniques and digital business cards are a great example of how some methods don’t need to be altered. Business cards have been used in marketing campaigns for hundreds of years, from inscriptions on stone through to printed cards that we still use. Today, business cards are still as popular as ever. Despite our move to a digital era, the so-called antiquated business card is – so far at least – standing the test of time and having a stack of cards to hand out while doing anything from grocery shopping to networking still proves to be the best way to pass your contact details on. Such cards have moved on from white slips of paper with black and white type on them. These days, the range of styles and formats is extensive and business cards are available in over 10,000 designs. The digital business card was recently introduced but has failed to truly take off as a concept. Let’s look at the pros and cons of using them against the more traditional versions. 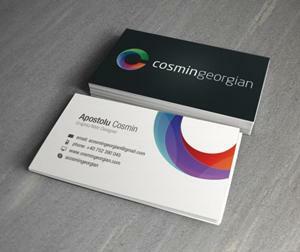 A digital business card is something that you can never forget. You don’t have to remember to put them in your wallet or handbag and this is a huge positive selling point in comparison to using its bulkier counterpart. Yet if you remember to put your business cards in your wallet, they will be accepted without any confusion about what you are handing over. There is a level of personal interaction that you can achieve when you hand out your business cards in person at a networking event. People will immediately feel a connection to you, as you will need to start up a conversation before handing over the card and this will also help you to stay fresh in their minds about who you are and what you are offering. Yet if you are meeting young people who are all a buzz about new technology, they may think you are out of touch and behind the times if you had over an old fashioned business card rather than a digital card. You can make a good impression on young, eager business people when you prove that you have a modern approach to business and this can be a good way to grow the image of any type of company. One of the positive things about using digital business cards is that they allow you to reach out to millions of potential new customers quickly and simply at one time, which is obviously hugely important when running a marketing campaign. Yet do the benefits of this wide audience-reach outweigh the practicality of handing out a card that gives someone something physical to take away with them to remember you by? While there are a few reasons why digital business cards do work – and many companies do use them effectively and very well – there are many more reasons as to why a good old fashioned business card is a far better option. The personal interaction, giving something that can be taken away and kept and keeping things simple all outweigh the positives of using a digital business card. Ask yourself this – would you prefer to open your wallet and find the contact details you need or have to turn on your device and search through the numerous emails and storage systems on your computer to possibly, eventually, find the number you need? Are business networking events a good use of your time? One Response to Why Haven’t Digital Business Cards Taken Off? My primary benefit of a business card is that they’re fast and simple. When you’re networking or selling and meeting a lot of people, business cards are fast. You trade cards, you have a conversation, and you go. If the person is particularly compelling you make a few quick notes on the back of the card before you do. Digital cards will pick up when we have smart paper that can record that extra information for you either by talking to it or writing on it with a pen, finger, etc.